Do you find certain people make better employees than others? Does their work history become a good predictor of their future interaction with you? Do you set up any ground rules before getting a new employee started? In this discussion from the Gopher Lawn Care Business Forum, we hear from some entrepreneurs who have their own unique methods to finding new employees and sifted out the good ones to keep. 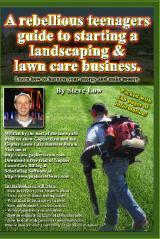 You have probably received junk mail in your mail box before from other landscapers in your area. Maybe you even thought about getting into the mass mailing game. But you probably wondered if it was worth it. In this discussion, from the Gopher Lawn Care Business Forum, we hear from some landscapers who have been there and done that. What have they found that works best? Read on. When you are new to any industry, it is tough to figure out which marketing ideas will work and which ones won’t. In this discussion from the Gopher Lawn Care Business Forum, we hear from one entrepreneur who was really throwing out a bunch of ideas in hopes something might end up working to attract customers. But before he actually went out to implement them, he asked some veteran business owners, their advice. 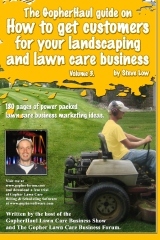 Do you ever wonder how your daily thinking and mind process compares with others in the mowing business? In this discussion from the Gopher Lawn Care Business Forum, five questions were asked about different parts of the working day. What is your first thought when waking up in the morning? How do you feel when approaching your first lawn of the day? What are you thinking, when you notice a client walk outside while you are working? How do you feel when loading up the trailer, having once completed your last lawn for the day? Take a moment and think about how you would answer them and then compare and contrast your answers to what others responded. 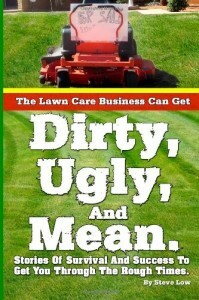 There is more to running a mowing business than simply going out and cutting grass. In this discussion from the Gopher Lawn Care Business Forum, we hear from one entrepreneur talk about how to keep your head in the game and not allow yourself to get stressed out from the job. Everyone is looking for an angle. A strategy. A different message to stand out from competitors. In this discussion from the Gopher Lawn Care Business Forum, we hear from one entrepreneur who tried offering a free mowing to drum up business and he got a very interesting perspective on the marketing experimentation. Can you imagine a mowing customer agreeing to pay you $x amount of dollars to mow their property and then when you actually mow it, they feel you mowed it too fast and refuse to pay you the price they agreed upon? 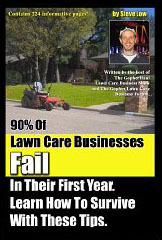 I know you feel like this couldn’t happen, but it did to a member of the Gopher Lawn Care Business Forum. He shares with us his story and how he handled the situation. Have you ever gone out on a lawn care bid, talked to the potential customer, and gotten a bad feeling that you wouldn’t be getting paid to do the job you were called to bid on? That’s the situation one entrepreneur from the Gopher Lawn Care Business Forum experienced when he wondered what he should do to deal with the situation. A new client calls and they are right on a down town section of a main street. In front of their property are all these shrubs that need trimming. You are not too comfortable with your hedge trimming skills, so what do you do? That is the situation one entrepreneur found himself in as he asked for help on the Gopher Lawn Care Business Forum on how he should go about taking on such a project. The general golden rule in business and in life says you should do on to others as you would have done to you. Sometimes, business ethics are put to the side as the competitive drive increases. As we will see in this discussion from the Gopher Lawn Care Business Forum, there are a lot of dirty tricks that go on out there in the lawn care industry. The more you are aware of them, the better you can negotiate yourself past them and avoid trouble. I need more services to offer to make more money. If you have a limited amount of mowing customers and that isn’t enough to pay your bills, you can find more customers or you can offer more services to those customers to make more money at each mowing stop. In this discussion from the Gopher Lawn Care Business Forum, we hear some service ideas that can be offered to improve profitability per stop. Maybe you could utilize a few of these ideas to improve your bottom line. 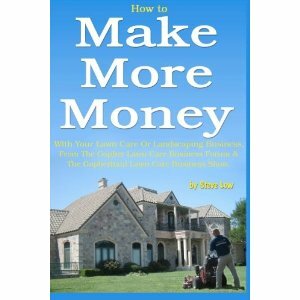 There are a lot of additional services you can add to your mowing route to make extra money. Some of those jobs involve irrigation. But what jobs are the easiest to get started with? What jobs should you sub-contract out? What methods should you use to learn more about the field? 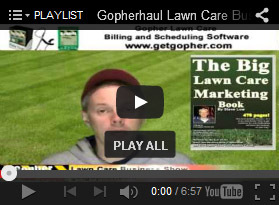 That’s what this discussion from the Gopher Lawn Care Business Forum, is about. There is plenty of money to be made offering irrigation services, but let’s look into which you might want to consider performing. 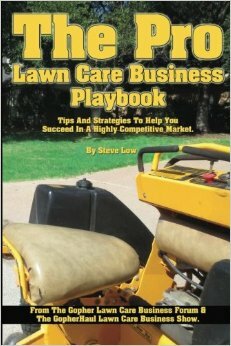 Lessons on buying lawn care accounts. 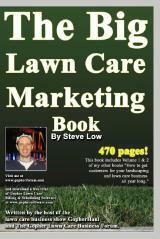 Have you ever considered purchasing an existing lawn care business to increase your customer base? Some do it and it seems to work out well for them while others can never find the right combination to make the deal work. In this discussion from the Gopher Lawn Care Business Forum, we hear from one landscaper who went through the process and reported back to us his experiences of it all. How to estimate 1 acre of lawn mowing. How long would it take you to mow an acre sized property? That depends on the size mower you have. How much should you charge? That depends on your local market, your expenses, and how much profit you need to grow your business. In this discussion from the Gopher Lawn Care Business Forum, we see a real world example of one business owner needing to know how much to charge to mow an acre of property. A few other business owners responded with some insights to help him. A lawn customer wants a discount and promises to bring me clients. Once in a while you may run into that one client who fancies himself as a wheeler dealer. He tells you he can get you all this new business if you only give him a discount on mowing his lawn. As we will see from this discussion in the Gopher Lawn Care Business Forum, rarely do these situations work out as they are initially presented to you. Problems with my pressure washer. There are lessons to be learned from every job you do. In this discussion from the Gopher Lawn Care Business Forum, we hear from one landscaper who was providing pressure washing services to a home owner. As he was doing so, he ran into some mechanical issues and then a few other business owners responded to his setup and how he could improve his efficiency. Should I start by flying under the radar? 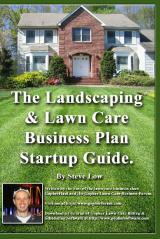 Many people who are considering the idea of starting their own lawn care business think that if they started off simple and ran a cash only business without being a legal registered company, it would improve their chances of success. 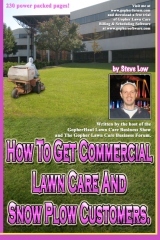 In this discussion from the Gopher Lawn Care Business Forum, we get more insight into that topic from people who have been there and know. Starting off on a bad footing and learning bad methods of operation tend to not lead to long term success. When big storms come through your area, there can be a lot of work to come out of them. As we will see in this discussion from the Gopher Lawn Care Business Forum, there can be a lot of work, but a lot of it is dangerous. The jobs tend to put you into situations that you are not used to handling. Read up on these lessons learned below, they could save your equipment and your life. Have you ever found yourself driving by an overgrown lawn as you were out mowing? Did you consider contacting the home owner to try and sell them on lawn mowing? 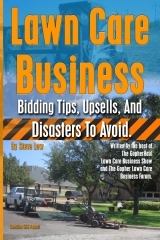 In this discussion from the Gopher Lawn Care Business Forum, we hear from some business owners on how they approach overgrown lawns and sell them on mowing. 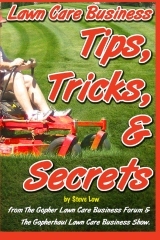 Should I buy a small commercial mower or larger consumer mower? Lawn mowers come in many sizes. There are also many levels of durability which go from consumer grade level all the way up to commercial grade. With these various sizes and equipment durability grades, comes a wide range in prices. Which options are best for you? Consumer grade? Commercial grade? A large lawn mower? Or maybe a smaller one could do? In this discussion from the Gopher Lawn Care Business Forum, we hear from a new business owner who is curious as to the best lawn equipment path for him. Should I repair my lawn mower or replace it? Should you repair a lawn mower or replace it? That is an age old question and it gets you thinking. In this discussion from the Gopher Lawn Care Business Forum, we hear from a few business owners who have been through it all and figured out an ideal pathway to take. Consider each opinion before moving forwards with what you feel is the best path for you. My lawn care competitor runs things so different! We all can get stuck in our own cycles or schedule of running our business and sometimes it works out well, while other times, it doesn’t. The only way to know for sure if what we are doing is really optimal is by talking to others and hearing stories on how they are operating. That is exactly what this entrepreneur did and he shared his story with us on the Gopher Lawn Care Business Forum. Maybe his insights will help open your eyes to other methods. Should I tape my lawn care business card to doors? Do you ever promote your lawn care business by going door to door and either knocking on doors to talk to the home owner or handing them a flyer? Well what if instead of knocking, you simply attached a business card to the front door? Would that be an effective form of marketing? Would it be worth your time and energy to do that? That is what this discussion from the Gopher Lawn Care Business Forum looked into. Non-paying lawn care customer story. Sometimes it’s the lawn clients you never think you would have any problems with, that give you problems. Then other times it’s those overgrown lawn clients that give you problems. You just can’t tell for sure at the beginning which clients are going to be trouble as we will see in this discussion from the Gopher Lawn Care Business Forum. If you can’t tell who is going to be the client that won’t pay, it might be useful to take some of these payment strategy tips and try billing in a new way. How to decline lawn care services. There is always one property in the neighborhood that is either overgrown or chock full of obstacles you would need to mow around if you took on the property. Sometimes, you can look at a property and know you don’t want to mow the lawn. Or you talk to the potential client and feel like they wouldn’t be a good fit in your client list. What is the best way to decline a property in a polite manner? That is the topic talked about in this Gopher Lawn Care Business Forum discussion. Your phone rings and it is one of your lawn mowing customers asking you how much it would cost them to get a brick paver patio area built in their back yard. Because you never bid on such a job before, you start to panic because you don’t know how long the job will take. You try to estimate the amount of hours, the cost of materials and the cost of renting a backhoe to come to a final price. But even then you are unsure of the price. As we will see from this discussion on the Gopher Lawn Care Business Forum, there is an easier way to bid such landscape projects. Compare this suggested method with your own and see how it works for you. Got caught spraying lawn chemical without license. Do you spray weed killers at times without having a pesticide application license? Sure some do it and some get away with it. But some get caught. In this discussion from the Gopher Lawn Care Business Forum, we hear from one landscaper who ran into big problems from what started off as a small situation. Sometimes having the right tool for the job requires you to make the right tool. In this discussion from the Gopher Lawn Care Business Forum, we hear from one member who altered his lawn mower to allow him to mow down overgrown lawns faster. Although this design may be a little too dangerous to use, the fabricator was pretty pleased with the outcome of the job and the amount of time it took. Review the discussion and the property pictures to compare how much you would charge to mow such a property.